Why do I love eating at Nathalie’s? Well this post, is one of my favorite posts on why this charming restaurant has won a place in my heart. There is no denying that Nathalie Arbefeuille has made a name for herself in the industry by pushing the boundaries of normality in cuisine preparation. In about a year, she has accomplished this by creating her own recipes from her childhood memories, inventing variations of the good old classics and presenting her food with great precision and finesse. Nathalie and her husband spent the better part of 12 years in Bangkok and Kuala Lumpur, giving cooking classes and catering for receptions of various embassies, companies, and private gatherings. She published her first book “Cuisine Passion” in 2007, where she shares her passion for refined food and recently the accomplished lady just launched her latest, “Cocktail Passion”, a book that is all about how to ‘wow’ your guests with finger food. One of my mates and a regular diner at Nathalie’s Gourmet Studio (NGS) once said that dining at this restaurant is like being invited by a proud husband to his home, where he show cases his wife’s talents in producing the most exquisite meal for an intimate gathering of friends. This is indeed the concept of the restaurant and you will not leave without having felt the personalized feminine touches on your plate, from the hostess herself. Anyway, here is what the fuss is all about. They food is so exquisite you will want to waste hours photographing it before you can bring yourself to eat it. Right there, in front of you on your plate, is really where heaven and earth collide. It takes a very special restaurant to earn a high ranking in our books. There must be an almost magical combination of cooking, service and ambience. But there is no single template to follow. Actually, me and my mate were just talking about this. There is reason to pity the nearly perfect. They have so many ways to falter. Every time I come to NGS to dine, I expect to be amazed by her cooking. Nothing less. I would consider the Cucumber Gaspacho, Crab Tartar with Rhubarb, Lobster Bisque Espuma one of the best appetizers I have had in a while. A progressive tasting of flavours will have you experiencing first, the oceanic: the crab that has been marinated in rhubarb. 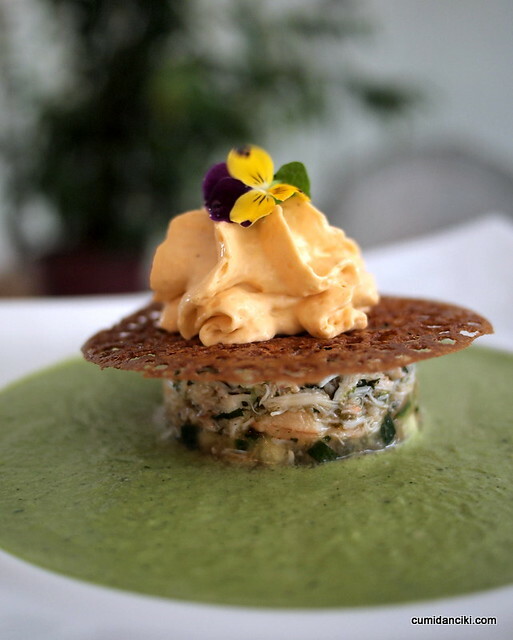 Next, the cucumber gaspacho and the lobster bisque espuma are thrown into the mix: the Mediterranean. Yes one of the nicest starters to date! 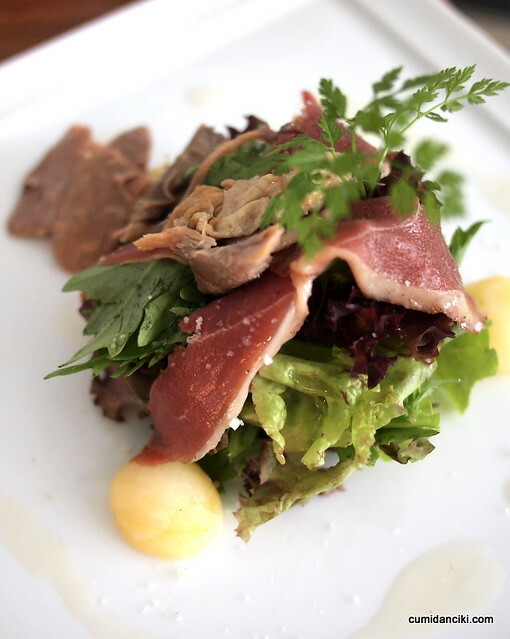 You can absent-mindedly polish off an appetizer of Landaise Salad (with duck confit, smoked duck and foie gras) and know that you are eating something good. Or you can pause, ponder and realize that you are eating something with an exquisite balance of textures, shapes and flavors. The three forms of duck in the salad are cleverly put together to give this salad some character and a smokier, meatier bite to it. Only with careful attention do you register and revel in the Ikan Kurau in a Herb Crust, Green Pea Puree with Mint flavours, Mint oil dressing. 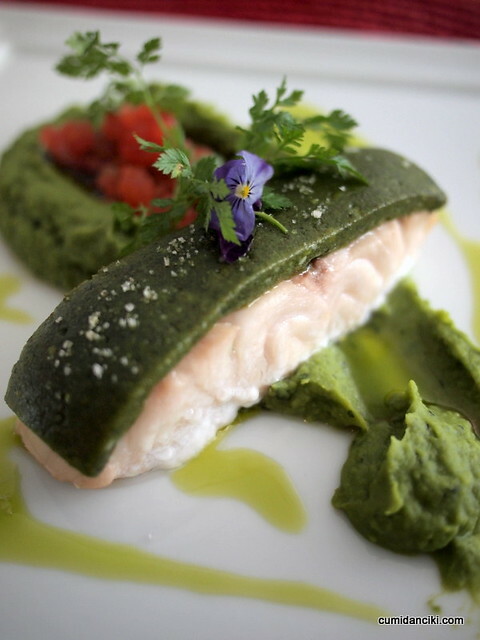 The green pea puree surrounds the kurau fish, providing vaguely creamy, buttery, mint like hints. I would never expect kurau fish to be cooked like this. She totally pulled it off. My dining partner had the prawns for lunch so I will let him tell you about his dining experience here. Nathalie is an amazing pastry chef and her exemplary desserts never fail to impress me. 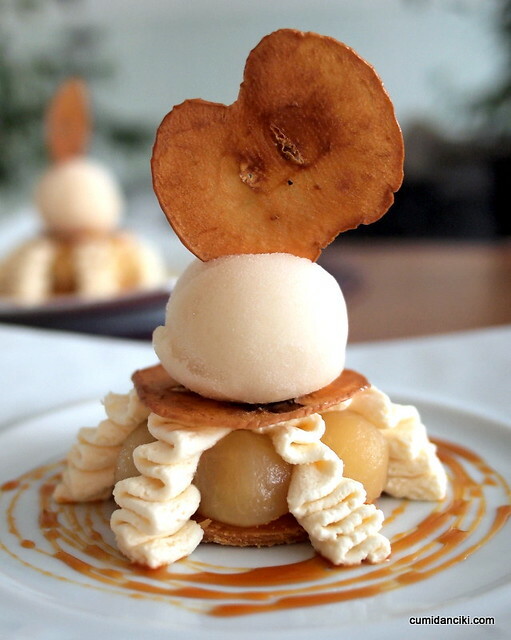 The Revised Apple St Honore, Apple Cider Sorbet showcases crispy wafers layered at the bottom, followed by round cuts of fresh apple layered with crispy apple wafers, and cream in between, topped with a single scoop of apple cider sorbet. 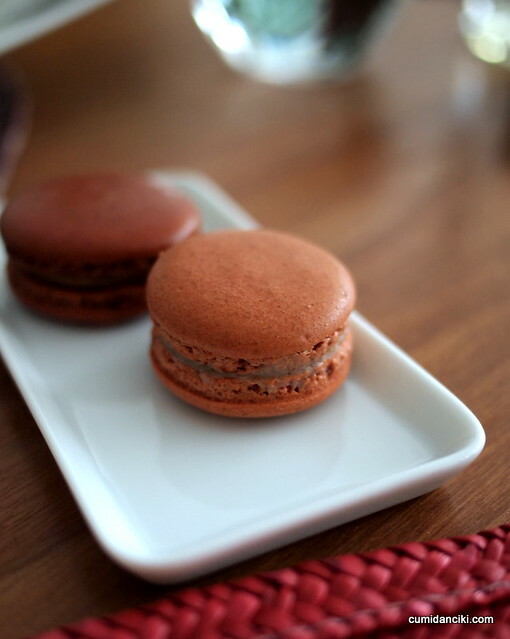 This dessert was sophisticated without being pretentious, multifaceted but not too fancy. I loved it! In conclusion I can only express again that eating here is such, and always a pleasure. The full epicurean appeal of the food here will reveal itself only upon close scrutiny. 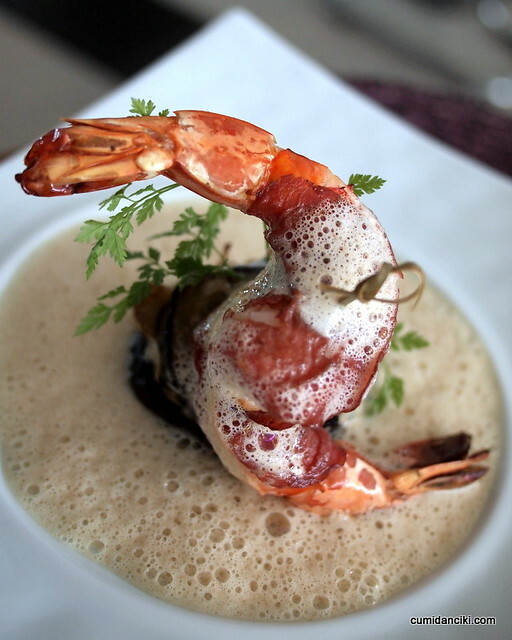 Nathalie’s Gourmet Studio is a restaurant for people who really focus on the food. If you have not eaten at NGS, then it is time to pay this cosy restaurant a visit. 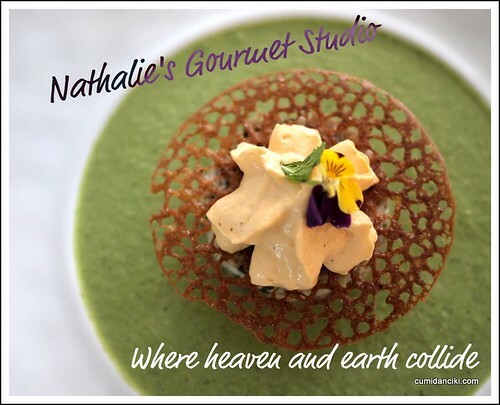 I dunno what new wonderful place one gets when heaven and earth collides, but by the looks of this, that place must be called Nathalie’s Gourmet Studio. Hehe. Wow, this places looks like really gourmet style dining! Looks like art more than food, but am sure it tastes good too. Lucky you to be treated there! It doesn’t just only look delicious. It also looks well decorated and beautiful served. Makes me hungry again! Tried. Had some unattended moments on drinks (they just happened to be too busy that afternoon). Otherwise, am impressed by the food. 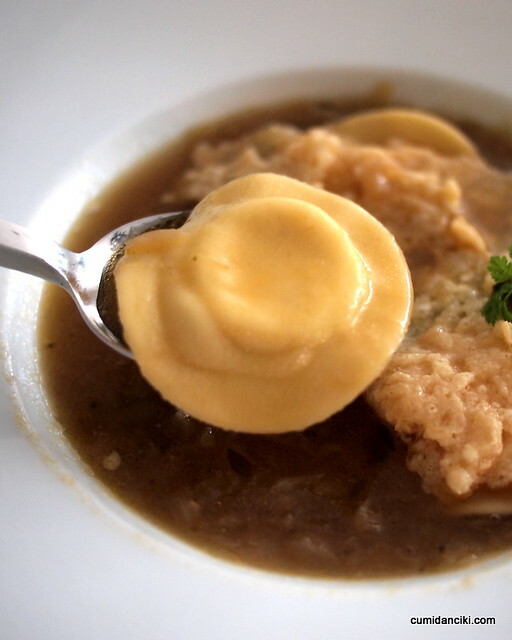 The onion soup is one of the best I had. this is my favourite place too! Sign up for our newsletter to get posts by email and our free 25-page KL Weekend Guide! Listen to Malaysia's Top Travel Blog, CCFoodTravel's Escapades in Bologna Italy! CCFOODTRAVEL, Malaysia’s Top Food & Travel Blog, is Interviewed on BFM! HIT PLAY TO HEAR HOW WE BECAME TOP IN OUR GAME!